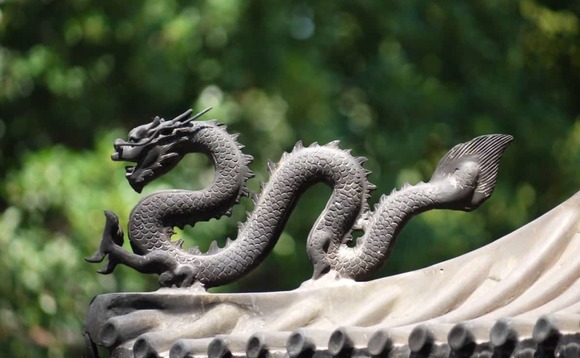 Eastspring Investments (Eastspring), the Asian investment management arm of London-based insurer Prudential, has opened a wholly foreign-owned enterprise (WFOE) office in Shanghai. The WFOE designation allows foreign asset managers to offer investments such as equities, fixed income and multi-asset products to wealthy people and institutional investors in China. Eastspring established the WFOE unit, Eastspring Investment Management (Shanghai) Co Ltd, in March and it was registered as a private fund manager with the Asset Management Association of China, the self-regulatory industry group in the Mainland, in October. The new office will serve the investment needs of qualified high-net-worth individuals and institutional investors in China, Eastspring said in a statement. Eastspring CEO Guy Strapp said: "As a leading Asia-based asset manager, China represents a significant growth opportunity for us. By 2021, it is estimated that around 50% of the $4.8trn of assets managed in Asia will be from China, and that these assets, at $2.3trn, will be almost double those managed in 2016. "This impressive growth in the investment industry is being propelled by China's powerful economic expansion and the increasing participation by both retail and institutional investors. Early next year we will be launching a growth equity China A-share strategy that will be distributed by domestic securities firms and third-party wealth managers." Eastspring also serves China's retail market through a joint venture partnership called CITIC-Prudential Fund Management Company. Eastspring currently employs 11 people in its Shanghai office, including five investment professionals, and is looking to have 20 staff by the end of 2019. Earlier this year, Eastspring announced the appointment of Michael Lu, General Manager, China, who joined from Robeco, where he led their China business for more than 10 years. In June, industry veteran Michelle Qi joined Eastspring as Chief Investment Officer, Equities, China. The move comes on the same week as a shake-up of the wealth and asset management industry in China. The China Banking and Insurance Regulatory Commission (CBIRC) has allowed China wealth management subsidiaries of domestic commercial banks to invest directly in Chinese shares for the first time.